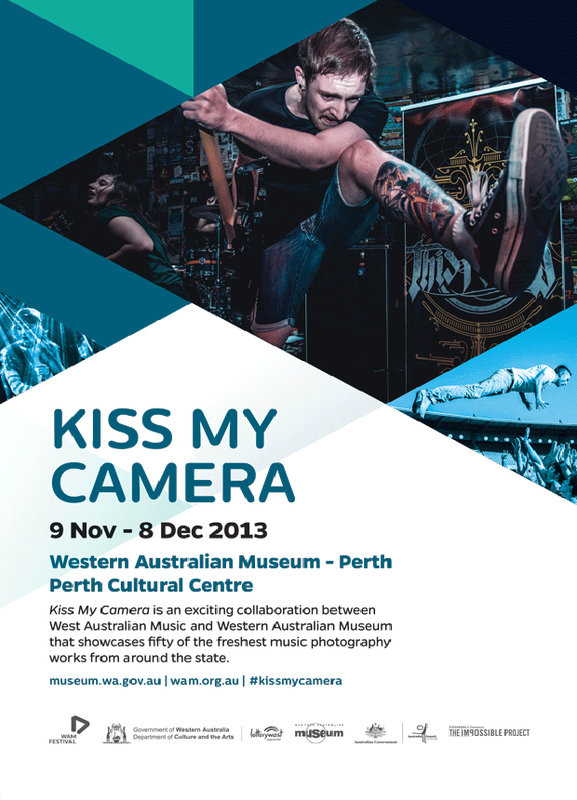 The Kiss My Camera exhibition is a s(l)ideshow that accompanies the WAM Festival each year and it will return as part of next month’s local music celebrations. From 300 entries, 32 entries have been chosen and will grace the WA Museum on Saturday, November 9, until Sunday, December 8, from 9.30am-5pm daily. You’ll see entries from Alanna Kusin, Amber Bateup, Brad Lambert, Brandon Davies, Caleb Macintyre, Courtnie Hayes, Dan Bedford, Dan Grant, David McLoughlin, Dean Smith, Denis Radacic, Dhyan Verco, Elle Borgward, Gareth Andersen, James Gifford, James Kilian, Jasmine Eales, Karen Wheatland, Martin McClellan, Michael Farnell, Michael Spencer, Michael Wilson, Nicholas Cooper, Renae Harkins, Robert Simeon, Ryan Ammon, Samuel Allen, Shaun Ferraloro, Suzanne Crosbie, Tanya Voltchanskaya, Thomas Davidson and Tracey Wilson. There’s 50 images in all, each capturing a moment in WA music, and vying for over $1,000 in prizes. For more details, head to wam.asn.au.